"WHERE THE FISH EAT HOTDOTS AND THE KIDS HAVE FUN!" 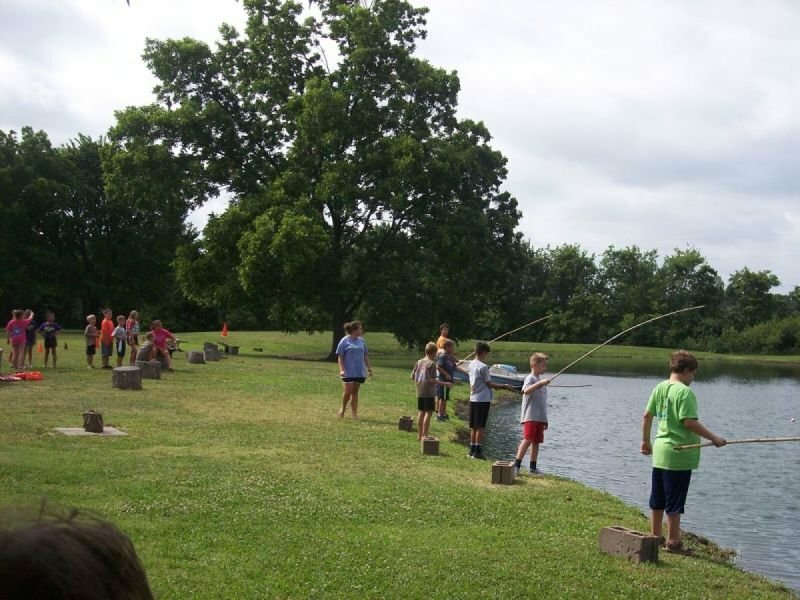 Eight Acres Camp is located in Bixby, Oklahoma and offers Summer Day Camp to children who have completed kindergarten - 11 years old. Eight Acres Camp features a stocked fishing pond, basketball court, playground, the famous dirt pile and an air-conditioned camp house. We accommodate flexible schedules and you only pay for the days your child is scheduled to attend camp. Your children will be excited to come to Eight Acres Camp every day to get dirty and have fun! They can fish and catch frogs around our one-acre stocked fishing pond. Art time promises lots of wonderful creations. Kids love spending time under our many shade trees, playing games like dodge ball, kickball or just digging in the famous camp dirt pile. All of this, in addition to frequent field trips which include swimming, bowling, skating, movies, or a number of other fun activities. Your children will be begging to come back day after day. Eight Acres was established in 2002 and is staffed by certified elementary teachers and experienced elementary school teacher's assistants. Eight Acres is an outdoor-based Summer Day Camp/Out of School Time program for elementary age children. We accept children who have completed kindergarten - 11 years old for summer camp and children enrolled in kindergarten - 11 years old for school year camps. We are not staffed or equipped to provide for children with severe emotional or behavioral issues. Billing is based on the days your child is scheduled to attend camp. It is the parents’ responsibility to cancel scheduled days changing to vacation days on the Sandbox Parent Portal. Invoices will be emailed each Friday. Full payment is due upon receipt of invoice. A $25 annual registration fee per child is due with registration. A nonrefundable $50 per child deposit is due to complete Summer Camp Registration. The Deposit is a credit on your camp account, which expires August 9th, 2019 and is forfeited if your child does not attend camp. Registration fee and deposit will be invoiced when online registration is received. Spring Break 2019 – March 18th-22nd. Summer Camp 2019 - May 29th - August 9th. We will be closed Thursday and Friday, July 4th-5th. Campers will bring a sack lunch each day. Lunches may be refrigerated, but not microwaved. No gum, caffeinated drinks, energy drinks or soda allowed at camp. A $6 fee will be charged when Eight Acres provides for a forgotten lunch. 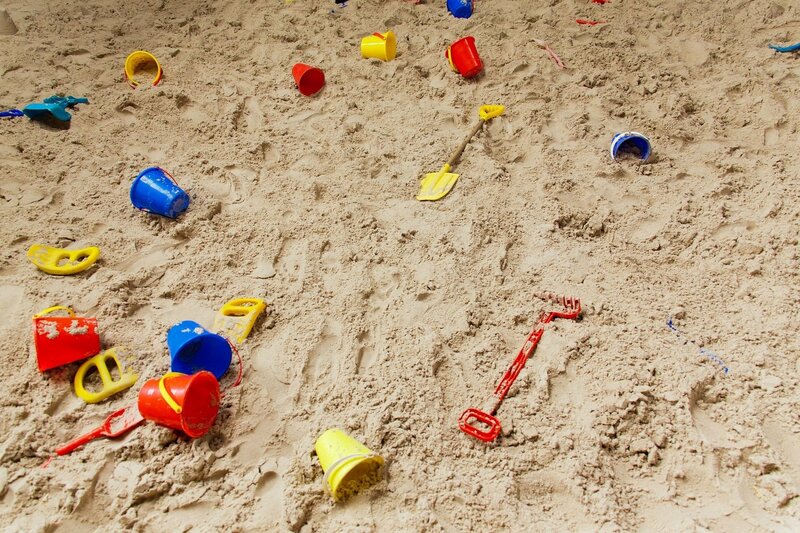 *Cancel your child's scheduled camp days on the Sandbox Parent Portal. *Dress your child in old play clothes. They will get very dirty! *Need your child ready for pick-up? You can call or text ahead 15–20 minutes and we will have your child ready. * Less is best…the more your child brings to camp the more we have to keep up with. * Put your child’s name on EVERYTHING. *We prefer lunch sacks. Walmart type sacks are perfect. Lunch boxes will not be refrigerated. *We can refrigerate lunches, but lunches will not be microwaved. *A $6 fee will be charged when Eight Acres provides for a forgotten lunch. *No gum, caffeinated drinks, energy drinks or soda allowed at camp. *Unless we are going skating or bowling, your child should probably not wear socks to camp. They don’t last long. *We provide towels when we go swimming. *Don’t send extra spending money with your child on field trips. *Sunscreen your child before dropping off at camp. *We provide sunscreen and reapply at lunchtime and afternoon snack. *We have plenty of fishing poles and bait. Don’t bring your own fishing poles, tackle or bait. *Children are required to wear an unaltered Eight Acres Camp T-Shirt on all Field Trips except swimming. T-Shirts are $15. * A $5 fee will be charged when Eight Acres provides for a forgotten T-shirt. *Tax Statements will be sent to all families by January 31st. *Our DHS compliance file is available at the check-in desk for parent review. Summer Camp is now full. Registration is closed. Complete registration and schedule is required for ALL campers, new and returning. Your child will only be placed on our roster when online registration is complete, $25 annual registration and $50 summer camp deposit has been received. An invoice for these fees will be emailed. Registrations are entered on our roster in the order received. We cannot hold a spot for your child without complete registration including vaccination record and fees. It is the parents’ responsibility to change scheduled days to vacation days on the Sandbox Parent Portal. Cancellations must be placed on the Sandbox Parent Portal by 7pm to avoid being charged for the following day. For registration questions, please call or text 918-640-2493, or email Camp@EightAcres.com. Keep in mind our phones are typically only answered after 3:00pm during the school year. For the quickest response text 918-640-2493.